Many people have an innate desire to help others. Some even call themselves coaches. Yet far too few pursue the necessary avenues of professional training and development that would enable them to consistently produce sustainable change for their clients. As you move forward in your career as a professional coach, you’ll be immersed in a sea of untrained coaches. The marketplace can feel overcrowded. And technically, it is. But you have to stop and consider the number of people who take the shortcut and simply add “coach” to their title. The field becomes substantially less crowded when you weed out these people (in the same way leading employers and demanding clients increasingly are). Your first step therefore is to focus on credibility. By attending an accredited professional coach training program and earning your ICF credential, you set yourself apart from those who aren’t capable of providing the same level of results you are. This is a tender subject for me. I know numerous outstanding professionally-credentialed coaches who started by taking a title they hadn’t truly earned. In their defense, there was less regulation when the coaching industry was in its infancy. Many felt that if they were doing their best by providing coaching as they viewed it, why not take the title? But years later, we know there’s a solid argument for professional coach training with an established curriculum. For one, untrained coaches are typically adrift and on their own. As such, they lack the expert change-making tools of a professionally trained coach. Nor do they have access to the critical mentoring and ongoing support that sharpen and deepen their skills. Mentors are an essential part of coach training. They provide a safety net and sounding board for newer coaches to rely on when confronted by something unfamiliar or particularly challenging. In the absence of that support, untrained coaches have only their experience and perspective to rely upon when attempting to help others. That experience may be rich or unique. But what happens when their words of wisdom fall upon deaf ears? Nothing. Change is hard. Which brings us to the second justification for professional training: changing others is often harder. Your clients will come to you because they are unable to make change on their own. Yes, they are eager to hear your perspective and even solicit your advice. But the stopping blocks that prevent them from being able to create change within their own lives are beyond your personal experience. They are as unique as the individuals themselves. To get to the root of what’s keeping them stuck, you need the right tools. It’s not just clients that get stuck. As coaches, we get stuck too. We all have blind spots. 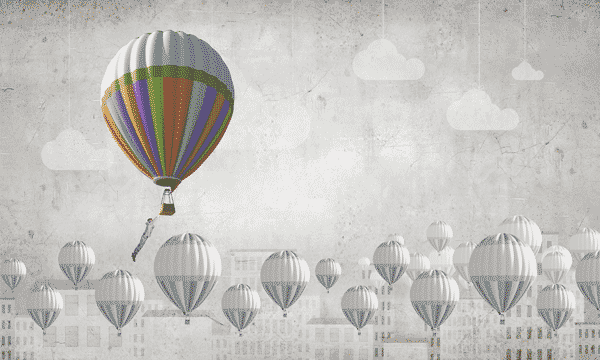 We run into mental and emotional blocks that lock us into our own outdated stories. Rooted in strongly held beliefs, we are frequently barred from shifting into new, more empowering pathways. As complex beings, we all require more than just information to change. We need someone who can look within and see the whole of what is happening. More importantly, that individual must possess the skills that enable us to see it too. In other words: relationship and communication tools – skills that aren’t taught in school, and rarely modeled in our family environments. Within the coaching industry, you often hear murmurs around clients being difficult, stuck and resistant to change. The greater truth is that the coach is part of the equation too. This means you can either be the one to leave people much the same as you found them (stuck). Or you can be the change that makes a difference in someone’s life by getting the professional training and ongoing support you need to be at your best. Your experience and perspective can provide valuable insight and support to your clients. But it has to be delivered within a methodical, proven framework to be holistic and sustainable. To do that, you need professional skills, tools and a proven methodology. Based on the cashier’s description, this “coach” was likely genuine in her desire to help others. The checker believed the coach didn’t understand her problem. But a more accurate interpretation is that the coach’s delivery was creating more resistance than receptivity. Unfortunately, the cashier paired up with someone who lacked the skills and experience of a trained coach that would have enabled her to be effective with her client. I walked out of the store feeling uneasy. If she was posting online and telling the world about her experience with a “coach,” think how that negative outlook reflected on us as a whole. Rather than stop to consider the difference in ability and training that exists between people like doctors, bakers, musicians, accountants, and even grocery clerks, she was more than happy to lump all coaches into the same moldy casserole of her own disappointment. As you begin marketing to your chosen niche, it’ll feel like standing in a packed stadium and trying to make yourself heard over the roar of the crowd. At times, the industry does feel overcrowded. But can you name one field that isn’t? Widely varying levels of skill exist within every occupation. Yet those who succeed – regardless of what they pursue – are those who acquire the best combination of experience and training. 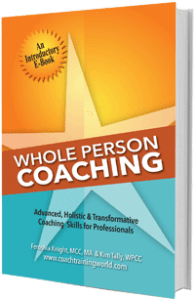 That brings me to the second way to increase your potential for success I mentioned in the introduction: you can effectively position yourself (even among professionally-trained coaches) through Whole Person Coaching. Explore how you can personalize this leading methodology to your unique passions and goals in my new book, Become the Successful Coach You Are Meant to Be. This inspirational 300+ page read is a launch pad for those entering the world of professional coaching. It’s also the bible for those seeking to cultivate sustainable change through holistic methods. Packed with real-life stories and sample coaching sessions, you’ll learn how to take the experience and expertise you possess today and transform it all into a deeply rewarding career upgrade or business. Order your print copy, or download the eBook to your tablet or Kindle and get started immediately.